02 plate Porsche 911 Targa 2dr, 28797 miles £34,999. 5dr Auto 12331 miles £13,999. 54 plate Mazda RX-8 Coupe 4dr, 11745 miles £15,999. 55 plate SAAB 9-3 convertible 1.8t Vector 2dr, 1559 miles £21,999. 55 plate Vauxhall Astra diesel hatchback 1.7 CDTi 16v Design  5dr, 13944 miles £10,999. 54 plate Toyota Yaris hatchback 1.0 VVt-i T3 3dr, 6254 miles £5,999. 55 plate Toyota Corolla hatchback 1.4 VVt-i T3 5dr, 3597 miles £9,999. 05 plate Skoda Octavia diesel hatchback 1.9 TDi Ambiente 5dr Auto, 11885 miles £10,999. 55 plate Peugeot 307 hatchback 1.4S 5dr, 4854 miles £8,599. New Alfa Romeo 147 hatchback 2.0l TS Selespeed Lusso 5dr £11,999 saving £6,603. New Nissan X-Trail 2.2 DCi 136 SVE 5dr £17,599 saving £5193. New Vauxhall Zafira estate 1.6i Club 5dr £12,699 saving £2,338. New Chrysler Crossfire roadster 3.2 V6 2dr Auto £22,599 saving £4,838. 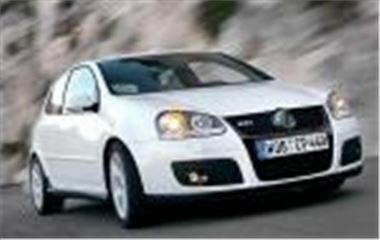 New VW Golf Hatchback GTi 2.0T 3dr DSG £17,999 saving £3,098. New Seat Leon diesel hatchback 1.9TDi Stylance 5dr £11,999 saving £3,098. 06 plate Vauxhall Tigra coupe roadster 1.8i 16v Sport 2dr, 21 miles £12,699 saving £2,688. New Nissan Micra hatchback 1.2S 5dr Auto £7,699 saving £3,183. 06 plate Mercedes Benz C class saloon C180K classic SE 4dr Auto, 8 miles £20,999 saving £2,536. New Ford Focus hatchback 1.6 LX 5dr £9,999 saving £3,683.